The Colorado Trail is a backcountry route connecting Denver to Durango, Colorado via 487 miles of pristine backcountry trails. It slices across Colorado from north to southwest, crossing eight mountain ranges, seven national forests, and six wilderness areas. The daunting logistical job of maintaining the trail is done entirely by volunteers and financed primarily by donations. Hundreds of workers spend untold thousands of hours each summer to work on the trail. 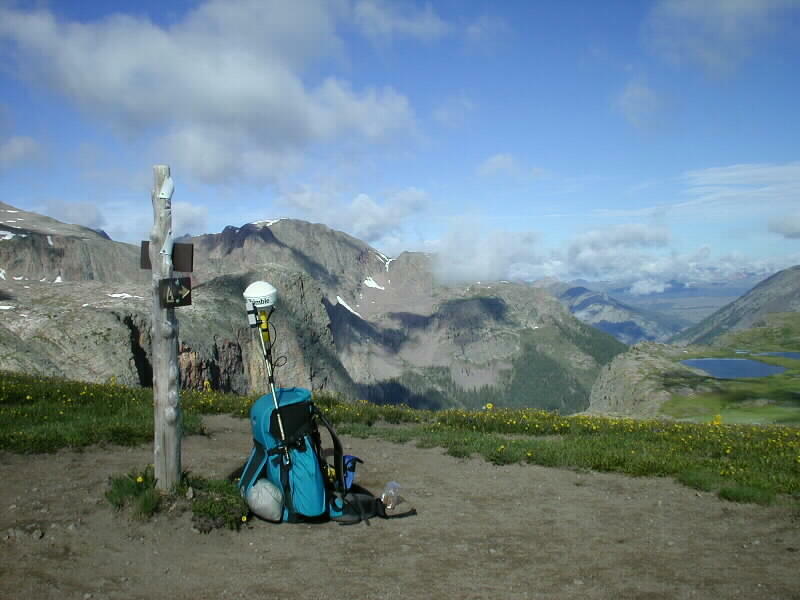 Their efforts have resulted in the what is without doubt, the very best backcountry hiking trail in Colorado. 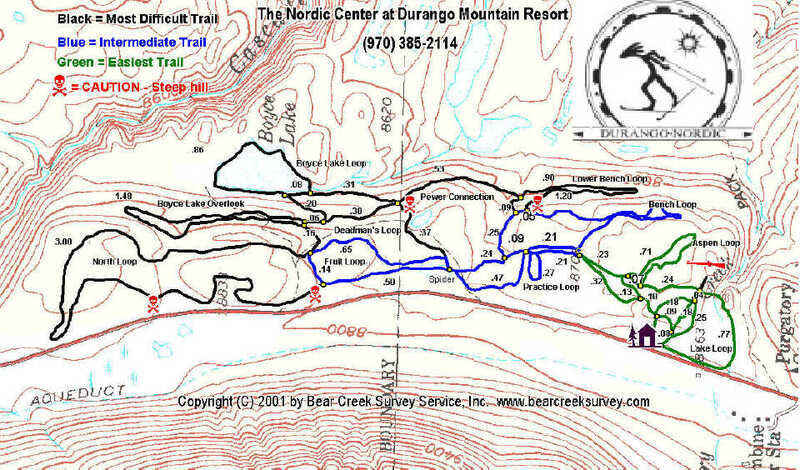 Bear Creek completed a project to map the trail in March of 2001 with the release of a PC based CD map product. The product is the official map source for The Colorado Trail Foundation and may be ordered from them. It is published and supported exclusively by Igage Mapping Corporation. Check out both web sites for some remarkable photos taken during the project. The CD, which retails for $40, contains all the topographical maps which comprise the corridor through which the trail passes. 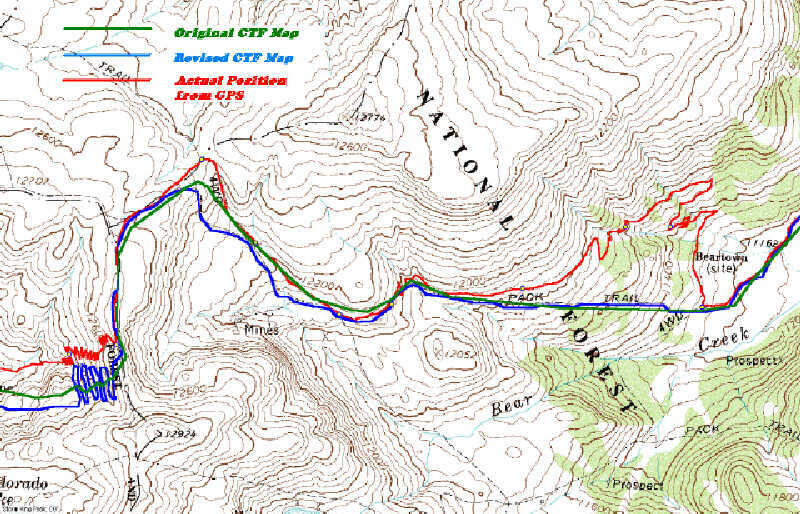 The project to map the trail was accomplished over a two year period utilizing a Trimble survey grade Pathfinder PRO XRS GPS receiver programmed to record a position every second as the trail was either hiked or mountain biked. In all, over 466,000 positions were measured in either 1 or 5 second intervals. The positions were then differentially post-processed using data from another GPS unit running at a known location. The resulting trail alignment is stunning in it's detail and accuracy. The Colorado Trail Foundation conducts annual treks, provides outdoor workshops, and works relentlessly to improve and maintain the way. Their success was largely due to the efforts of Gudy Gaskill, who spent much of her adult life making it a reality. Gudy is still around, running the nature studies workshops from the foundation's nature studies center near Section 22 of the trail. Check out the Igage Mapping Corporation website for map examples and to see some photos from the project. Check out The Colorado Trail Foundation website for more photos, or to order the CD, guide books, etc. The Maps Have Really Changed! There are areas where the original trail line was drawn hundreds, even thousands of feet from where the trail actually is. This was due to poor positioning on the original maps, and to re-route work done by the CTF. Some of the old routes are still clearly identified on the topographic maps as the Colorado Trail. The most glaring example is in section 6, where the route is identified on the topographic map following a jeep road along the Swan River. This was the location of the route when the map was revised in 1987, but not where it is today. Now the route runs north of the topographic map position by as much as two miles. In the example to the right, in section 24, the trail actually runs nearly 1/2 mile north of the old map positions. The black line is where the trail really is. For the first time, backcountry travelers will have truly accurate maps to navigate by. Update: Trail re-surveyed (Denver to Durango) by J. Brown in 2004 using a Thales Mobile Mapper. Update: Third survey and signage inventory done by J. Brown and brother Carl in 2007 using Thales Mobile Mapper. The Durango Nordic Center contains 16K of groomed XC and skate track. The center is located on property owned by Durango Mountain Resort at Purgatory. It is the training site for Durango area junior Olympians and hosts several competitions each winter. We GPS'd the track this summer to help determine the exact lengths of all the circuits to assist in the design of races. To print your own map, click on the image to enlarge, then print with your browser's print command. The image is sized to print on a 8.5 X 11 inch printer. 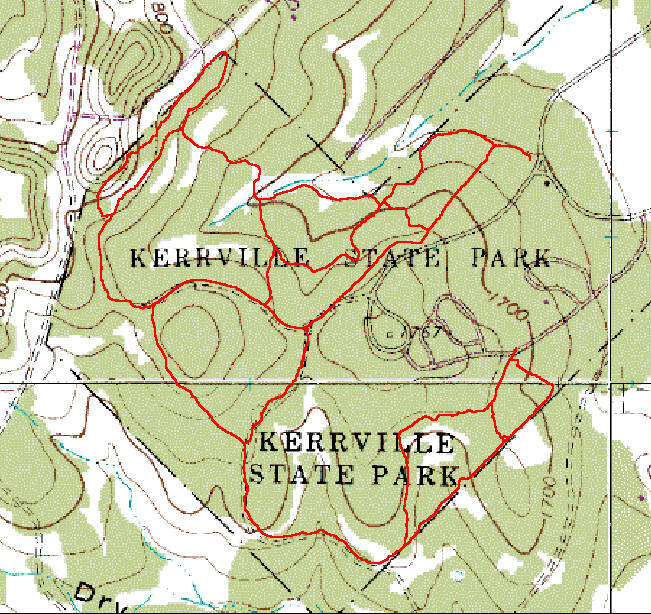 Maps of Kerrville State Park in Kerrville, Texas were completed in January, 2001 for the Kerrville Bicycle Club and Friends of Kerrville Schreiner State Park. The maps are being used for planning, construction, and rehabilitation efforts for the trail system within the park. The field work was done by Richard Nolde and Susan Junkin, both board members for The Colorado Trail Foundation while they were on a visit to the area. Bear Creek post-processed the data and created the maps using images donated by Igage Mapping. None of the parties received compensation - this was a done as a contribution and as a thank you to the bicycle club, who's members provided help for the Colorado Trail project.